Q: How to install iSensor/Patio? 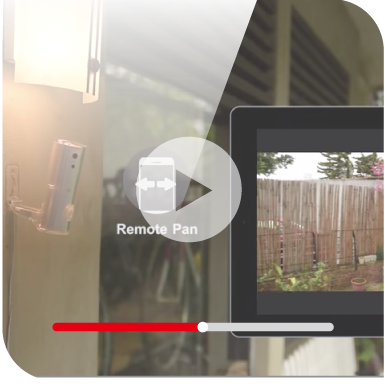 A: Before starting the installation, please make sure you use the power adapter coming with the iSensor/Patio. Make sure you have downloaded "Amaryllo" APP for your iOS or Android phone/tablet. 1. Connect power cord to power up the device. 2. Wait for 50 seconds, until it finishes motor calibration/rotation. 3. Check the front blue light, if it's solid, your device has already been installed. Please follow "How do I revert the device to factory default settings" in order to reset the device first. 4. If the front blue light is blinking, it means the device is ready to be installed. 5. Open the "Amaryllo" APP on your phone/tablet. 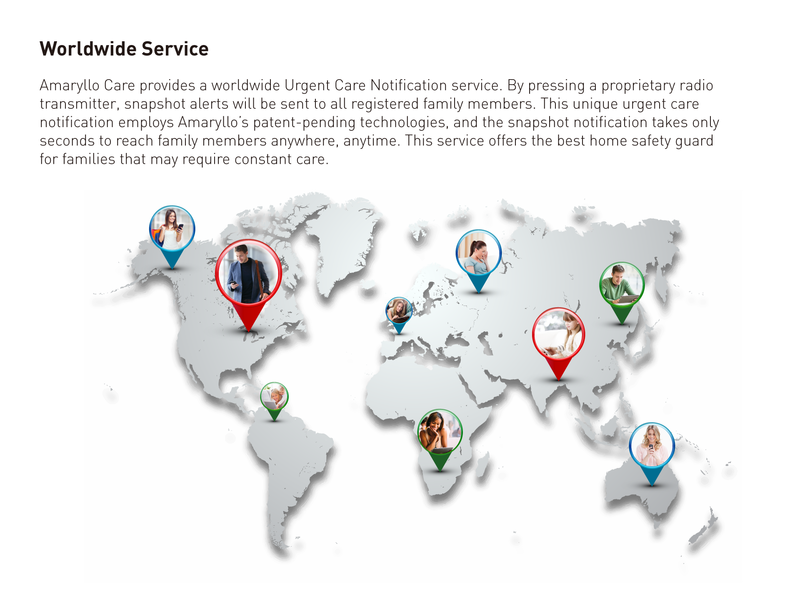 If you haven't installed any Amaryllo devices yet, the first page will offer you to choose the installation methods. If you already have installed a device prior, go to "Add Camera" on the main toolbar to proceed to the installation of the new device. 6. Choose the "Standard setup" as recommended, and then follow the instructions to fill in your WiFi network name (SSID) (2.4GHz only) and password, and a QR code will be generated on the screen. 7. Place the QR code which is on your phone/tablet in front of the iSensor/Patio (10-30cm in front of the lens of the device), a sound will indicate that the QR code has been read by the device. 8. 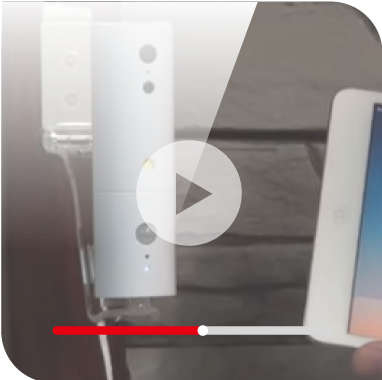 The iSensor/Patio will then try to connect to your WiFi network, and the APP will pair the device with the phone/tablet. c. the WiFi signal is too weak for the iSensor/Patio to connect to your WiFi network, try move the device closer to your WiFi access point. d. you specify a 5GHz band WiFi network name (SSID), which is not supported by iSensor/Patio. A: If you ever installed this device on other phone/tablet, you can transfer the administrative privilege from other phone/tablet by using the administrative QR code, please refer to "How to transfer administrative privilege to/from other phone/tablet". Otherwise, you will have to reset the device (please refer to "How do I revert the device to factory default settings") and do the installation again. Q: How to transfer administrative privilege to/from other phone/tablet ? 1. From phone A, go to (iOS - Setting->MISCELLANEOUS/Administrative QR code, Android - Settings->About/Administrative QR code), to generate a QR code. 2. From phone B, go to "installation methods" page (if phone B hasn't installed any devices, this is the default page, otherwise choose "Add camera" to go to this page. Choose "Retrieve access from installed device" to scan the QR code generated from step 1. Q: How to create/remove viewer privilege for other phone/tablet or browser ? A: You can create a viewer account of your camera to share it with other users with a limited access such as "live streaming privilege" only. With viewer privileges, the user cannot change the device settings, nor receive notifications, or access to the cloud. To create/remove a viewer, go to (iOS - Setting->MISCELLANEOUS/Viewers list, Android - Setting->Viewer/Views list). a. App - The viewer is for mobile device use. A QR code will be generated for the new viewer and he will need to follow the procedure below to transfer the viewer privilege to the new phone - From the new phone, go to "installation methods" page (if the new phone hasn't installed any devices, this is the default page, otherwise choose "Add camera" to go to this page. Choose "Retrieve access of an installed device" to scan the generated QR code. b. Browser (Single) - A pair of AMID/passcode will be generated for the viewer. User can visit https://live.amaryllo.eu and sign in with this AMID/passcode to access the device. c. Browser (Multiple) - Same as Browser (Single) except that with this type, the AMID/passcode pair can be used on different PCs/Browsers, while Browser(Single) viewer only allows access on single PC. Q: Instead of showing AMID, can I set a friendly display name for my device ? A: After the installation of the device, its name will be diplayed on the APP's upper-right corner. The default display name is the AMID. Instead of using the default name, you can choose and set something different for your device, such as "Living Room". To change the display name, go to "Settings->About->Display name". Q: Why are there a blue and a green light LED on the device and what are they for? Solid on - Power up and system is starting up. If the device has already been installed, it will stay solid. Blinking - The device is in factory default state ready to scan a QR code for installation. Or it means that it is ready to scan a QR code when you are using the "add Wifi" feature (refer to "How do I add another WiFi setting to iSensor/Patio which has no network access ?"). Off - The device is in privacy mode or, of couse, when power cord is not connected. Solid on - When WiFi network is connected. Blinking - When the device is trying to connect to your WiFi network, or during WPS setup. Off - The system is starting up, or the device has not been installed. In privacy mode, the green light will also be off. 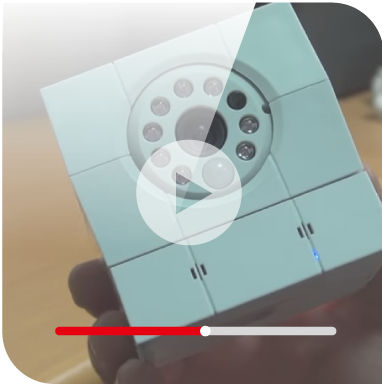 Q: How to install camera by using WPS (WiFi protected setup) ? 1. Make sure you are using the power adapter that comes with the device. 3. 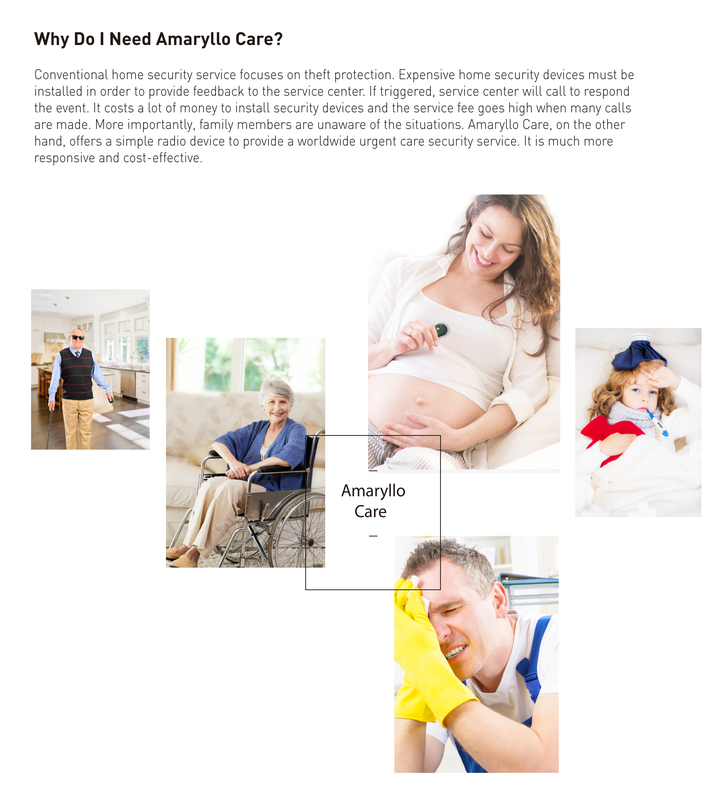 Have your Amaryllo APP installed on your phone/tablet. a. Plug in the power cord to power up the device. b. Wait for 50 seconds until the motors finish calibration/rotation. c. Make sure the front blue light is blinking. d. The WPS button is located at the bottom of iSensor/Patio. There are two holes there (for Patio, you have to open the rubber cover first), the one with "wireless signal wave" icon is for WPS. To trigger the WPS process, use a thin pin to stick to the hole, press and hold the button for more than 5 seconds until you hear a beep sound, then release the pin. The green light will start blinking (fast). e. Go to your access point, press the WPS button (check your router's users manual), let the device establish a WiFi connection to your Wifi network automatically. Normally there will be a 2-minute time window in which both parties (device and your access point) will try to connect to each other. f. When the device get connected to wireless network, it will prompt with a two short beep sound, and the green light will also become solid. g. Start your APP, go to the "installation methods" page (the default page, if you haven't installed any device yet, or press the "Add camera" from the toolbar to go to the installation page), choose "Setup the camera using WPS" and follow the instructions to setup the camera. Q: My device has been installed for a while, it used to work well, but now the device seems to have problems connecting to my WiFi network, why? A: Please check if your device is connected to your WiFi network. 1. 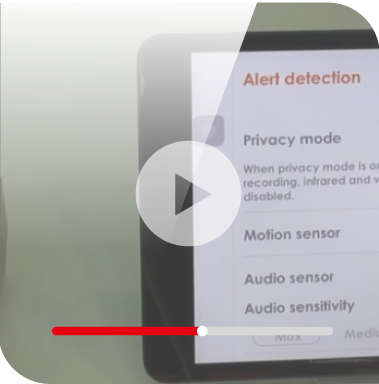 If the green light is solid, it means the device has no problem connecting to your WiFi network, the issue might must come from elsewhere - for example, the device connects to the WiFi network but router doesn't have Internet access. a. Your device is too far away from the WiFi Access Point, thus move it closer to your WiFi AP. b. Your device does not have a correct SSID(WiFi name) or password, please refer to "How do I add another WiFi setting to iSensor/Patio which has no network access ?" to add a new WiFi network setting. Q: Can I choose/set different pictures as my background for each installed devices? A: You can change your device's "wallpaper" by pressing on the background button located on the main toolbar. Q: What are the functions for each toolbar button? b. Notifications - It will display snapshots, events, alert videos etc. c. Cloud - Access your footage videos stored in Amaryllo Cloud/Google Drive. 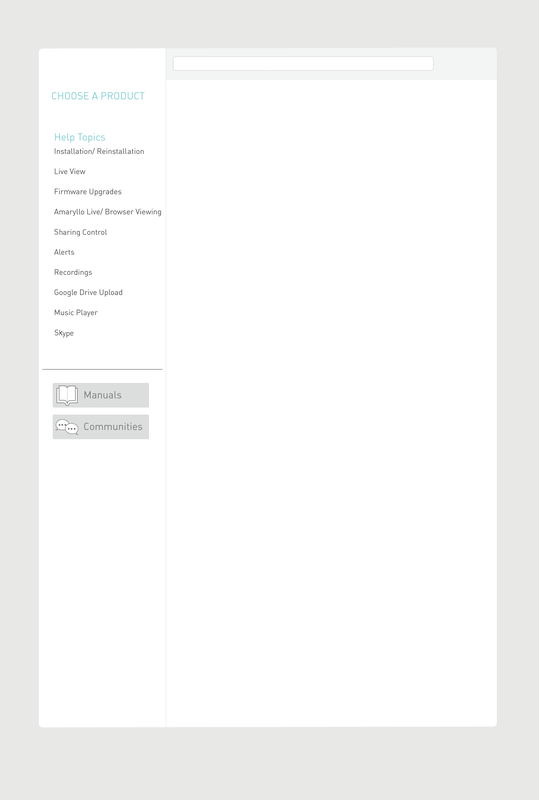 d. Settings - Customize ,choose and configurate all the features you wish to use. e. Scheduling - Set scheduling rules to turn on or off the privacy mode. f. Snapshot - Take an instant snapshot remotely, the taken picture will be available later in "Notifications". g. Background - Set a different device background on the APP. h. Add camera - Setup and add a new device or transfer and retreive control privileges from other phones/tablet. i. MP3 - iSensor/Patio does not support this feature, it's been grayed out on toolbar. j. Add WiFi - Generate a QR code to add another WiFi network setting to your device. Please refer to "How do I add another WiFi setting to the iSensor/Patio which has no network access ?" for more details. k. Help - User manual. l. Delete - Remove the installed device from the APP. Be aware that will not revert the device to default settings. It will just erase the settings of the device on your phone, please follow "How do I revert the device to factory default settings?" to install the device on another phone. Q: How do I add another WiFi access to the iSensor/Patio which has no network access ? Option 1: Add a new WiFi network via QR code. a. 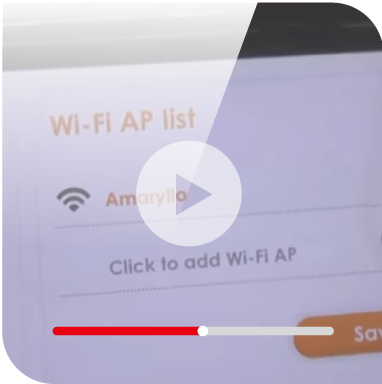 On Amaryllo APP, select "Add WiFi" on the main toolbar, follow the instruction and input your WiFi network name (SSID) and password, which will generate a QR code which you will have scanned by the iSensor/Patio. b. On the iSensor/Patio, there are two holes on the bottom of the device (for Patio, you have to open the rubber cover to find them), the one with "wireless signal wave" is for "add Wifi setting" and "WPS". Use a thin pin to stick to the hole, press and hold for 1 second and release immediately (Don't press for too long, otherwise you will hear a beep sound which will turn the device into WPS mode which has nothing to do with this procedure). c. The front blue light should be blinking now, which means that the device is ready to scan your QR code. Place your QR code generated from the step "a" at 10-30 cm in front of the lens of the device, when you hear a beep sound, then the process is complete. The device will try to connect to the new WiFi network. Once it is connected, the front green light will stop blinking and will turn to solid light. Option 2: Add a new WiFi network via WPS. a. On the iSensor/Patio, there are two holes on the bottom of the device (for Patio, you have to open the rubber cover to find them), the one with "wireless signal wave" is for "add Wifi setting" and "WPS". Use a thin pin to stick to the hole, press and hold for more than 5 seconds until you hear a beep sound, the device will then enter WPS mode, and green light will start fast blinking. b. Go to your WiFi access point, press the WPS button (check your router's users manual), let the device to establish WiFi connection to your Wifi network automatically. Normally there will be a 2-minute time window, in which both parties (device and your access point) will try to connect to each other. c. When device get connected to wireless network, it will prompt with a beep sound, and the green light will also become solid. The WPS negotiated WiFi setting will be saved to device automatically. 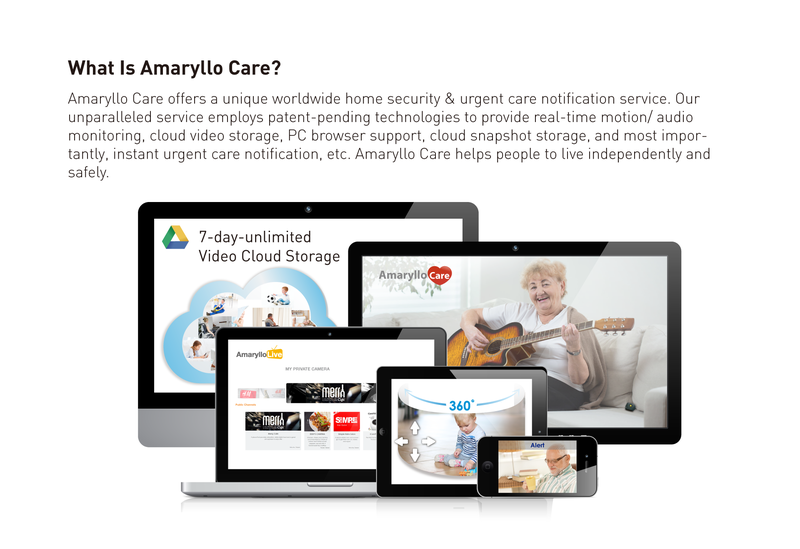 Q: How do I activate Amaryllo Cloud/Google Drive ? After installation, select the “Cloud” icon from the toolbar, and follow the instructions to setup Amaryllo Cloud or Google Drive, you will be requested to provide your gmail account in the middle of the Cloud setup. You can go to “iOS: Settings->GOOGLE ACCOUNT/google account. Android: Settings->GOOGLE ACCOUNT” to set up or change your gmail account too. 1. 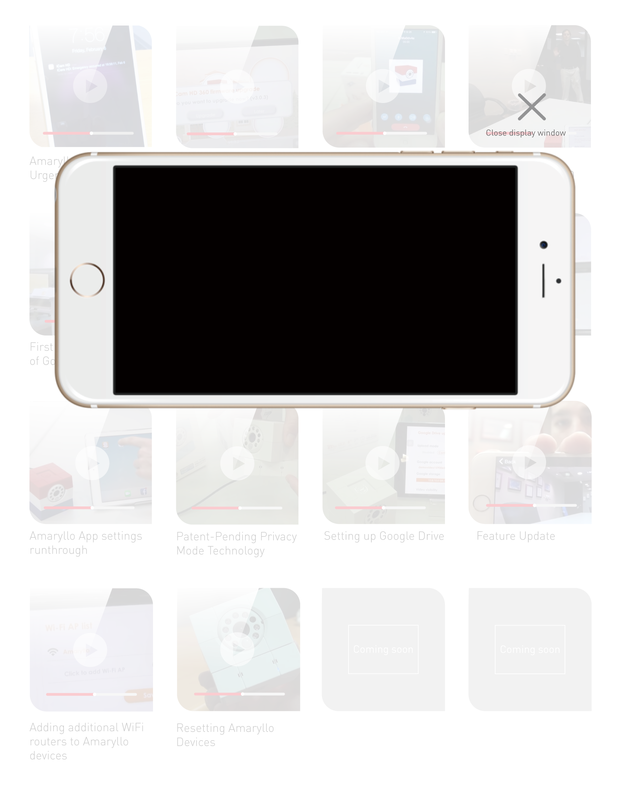 Continuous - upload all recorded videos to the cloud. The maximum length of each continuous mode uploaded video file is 12 minutes. 2. Event - upload videos with events detected. The maximum length of each event mode uploaded video file is 5 minutes.You can also specify your preferred resolution to record the video. In a network environment where the bandwidth is low, continuously upload high resolution videos may jam the traffic.